“Do you see it? It’s right there!” our guide, Harry Sr. exclaimed as he pointed out into the translucent waters. 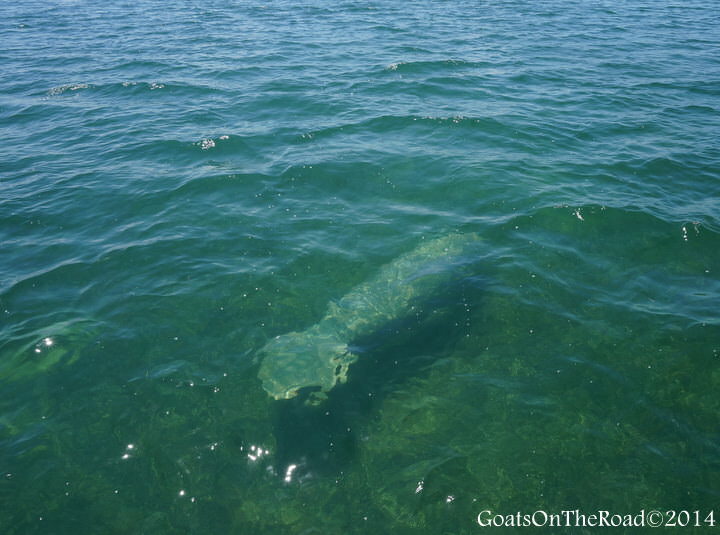 We didn’t see anything, but eagerly moved to the front of the boat to search for the elusive Manatee grazing on turtle-grass at the bottom of the sea. There in the shadows of the Swallow Caye Wildlife Sanctuary, we finally saw the dark formation swimming near our boat. It was our first Manatee sighting! We had been searching for these mammals in the shallow waters of the sanctuary for no more than 30 minutes before finding one. How this creature was spotted by our guide remains a mystery to me. Nick and I both had our eyes on the water the entire time and didn’t see a thing. Harry Jr., our second guide on the boat, cut the motor, which really allowed us to enjoy the peacefulness of the moment. With a large bamboo pole, Harry Jr. propelled the boat towards the Manatee’s next predicted breathing stop. As our informative guides explained, Manatees can hold their breath for up to 15 minutes, so it was a bit of a waiting game in between surface breaths. Our best sighting came near the end of the day. Somehow, through the glaring sun reflecting off of the water, Harry Sr. spotted sea cow number 6! Initially, he thought it was circling to the back of the boat, so the other three tourists ran back there, but Nick and I stayed in the middle, which turned out to be the best plan. It’s little nose peeked up from just below the surface, then came the whiskers, then two cheeks and two round eyes! Nick and I were right next to the Manatee; this was by far the closest we had been all day. We both fumbled around trying to get the camera ready, but just as quickly as the sea cow exhaled, it inhaled and with one big swoop of its paddle-shaped tail, slipped back into the water. Not only did we spot our first Manatee within minutes of being at the Sanctuary, we ended up seeing a total of 7 throughout the day! A number that high is quite rare, and we gave all of the credit to our veteran guides with “sea eyes”, Harry Sr. & Harry Jr. As their names would suggest, they are a father and son duo who grew up on Caye Caulker in Belize and know everything there is to know about the island, the sea and the Manatees. None of our questions about these herbivores went unanswered and their ability to spot these creatures was remarkable. But our day wasn’t all about sitting on a boat spotting majestic mammals, we wanted to get wet too! 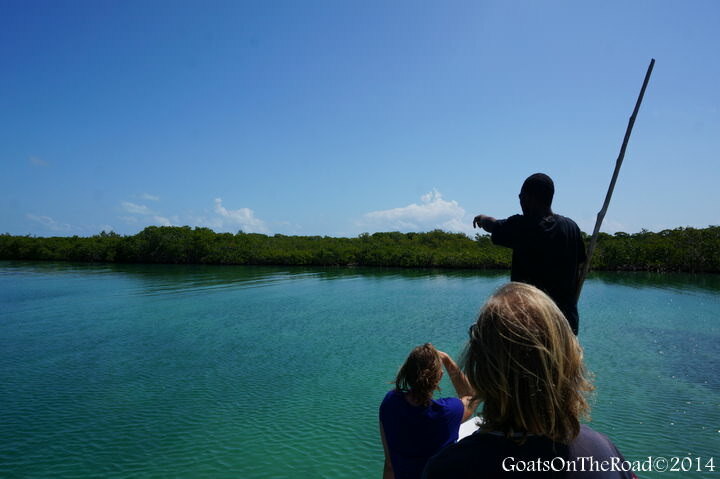 unfortunately, we weren’t able to snorkel with the Manatees, but we were still able to don and mask and fins and explore the stunning Belize Barrier Coral Reef that lays just 300 meters offshore. We snorkelled above the colourful coral, spotting a sting ray, moray eel and many species of fish. We also saw a few playful dolphins when we were on the boat. 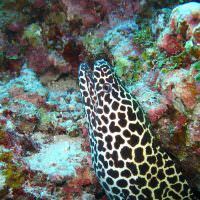 The marine life in Belize is fantastic. We had spotted a dugong during our trip to Mozambique, but we were more than thrilled to spot 7 of its cousins while exploring the sanctuary around Caye Caulker. Just being out on the water really recharged our batteries and we felt so privileged to be able to have this unique experience. We were interested in E-Z Boy Tours not only because of the welcoming, colourful office right on the water, but because this company is run by one of the first families who settled on Caye Caulker! Opened in 1997, this family run operation has been providing Belizeans with jobs and tourists with safe and memorable excursions for many years. The owner, Hans, is the 5th generation in his family to continue with the tradition of fishing and has now added snorkelling and island trips to the company’s repertoire. E-Z Boy Tours have many options when it comes to sightseeing on, or under the water. 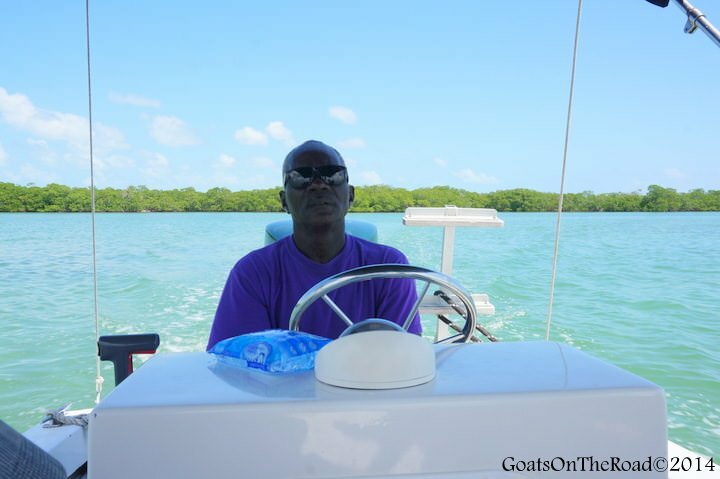 Six speedboat tours and three sailing tours are available. The sailboats are also available for private charter. Recently, they’ve added a three-day sailing trip to Placencia, with camping on islands along the way. We chose the Manatee Tour, which is a 7 hour day trip commencing at 9:30 am. 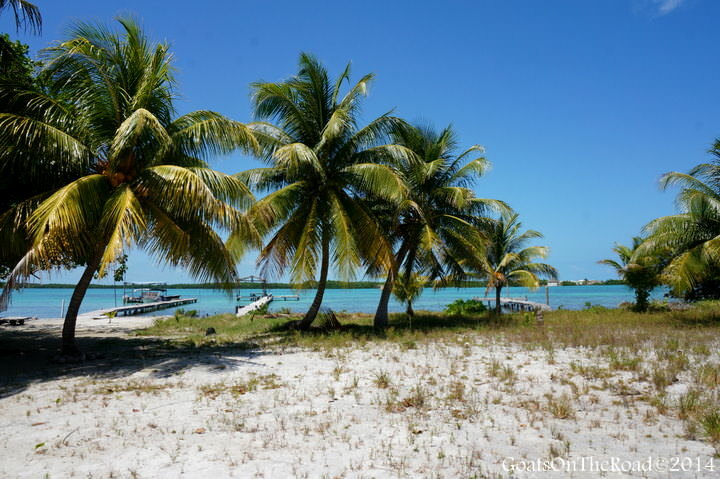 The day is spent exploring the Swallow Caye Wildlife Sanctuary before stopping on St. George’s Caye for lunch. 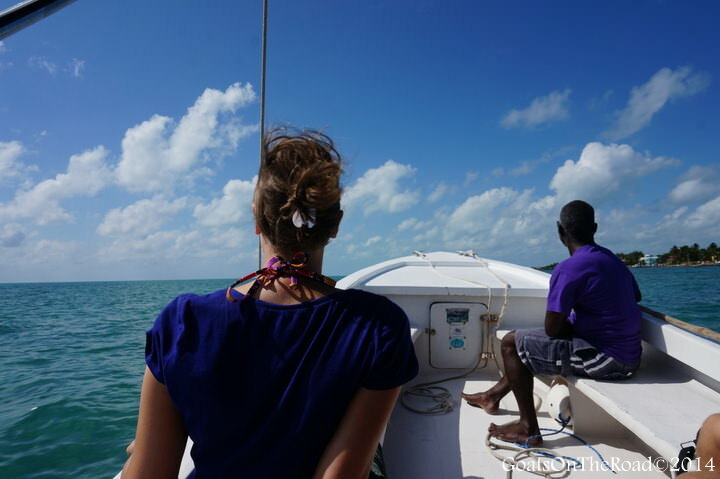 On the way back to Caye Caulker, the tour stops at two different snorkelling sites with great coral and marine life. 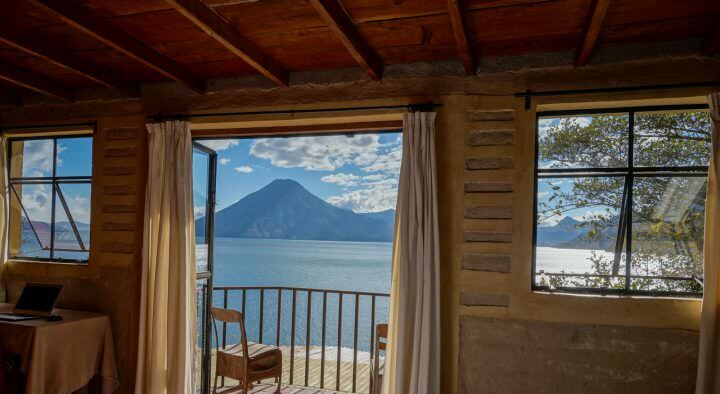 The cost of this tour is $85 USD/person. A minimum of 5 people are needed. 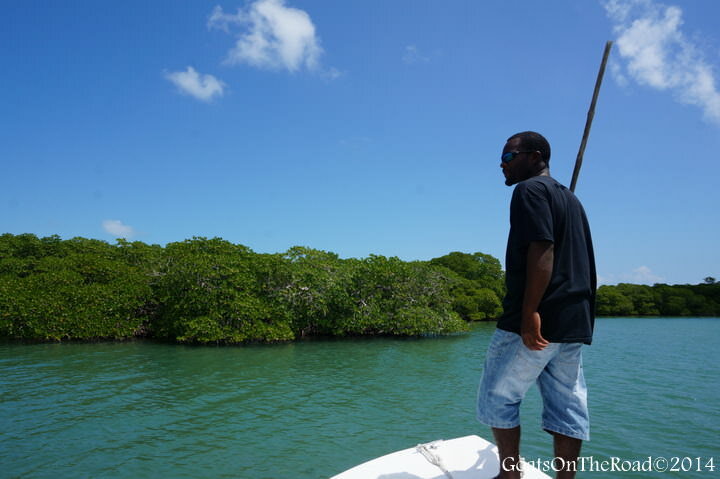 The E-Z Boy guides are all 3rd and 4th generation islanders, who are more than qualified to provide tourists with information about Caye Caulker, the marine life and the nearby sanctuaries. Both Harry Sr. and Harry Jr. were not only knowledgeable, but they were also genuine – which is a quality that’s often hard to find in a tour guide. 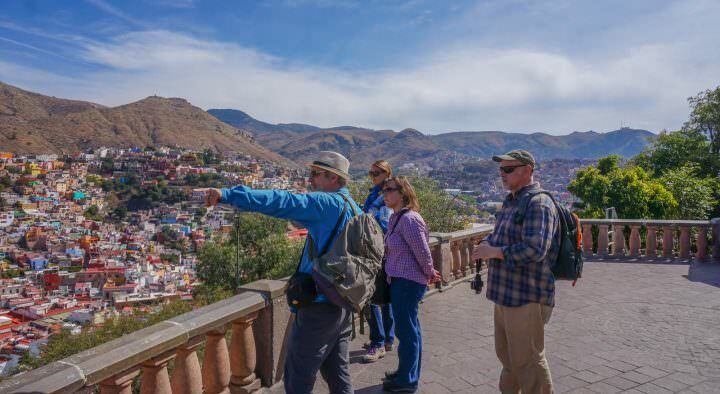 For us, what really makes a tour memorable is the guides. 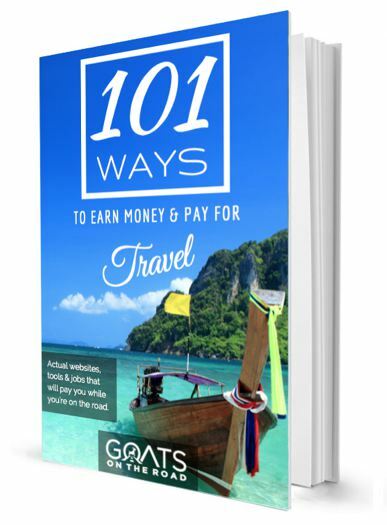 It’s important to have guides who are interesting, funny and of course, know a thing or two about the site we’re seeing! We asked Harry Sr. and Jr. many questions, not only about Manatees, but about Belize, Caye Caulker and even personal questions. They were more than happy to answer anything and everything. The speed boat we were out on was built in Belize and was very comfortable and of good quality. Shade was available on the boat as were life jackets. The snorkel gear was well maintained and they even have prescription masks! 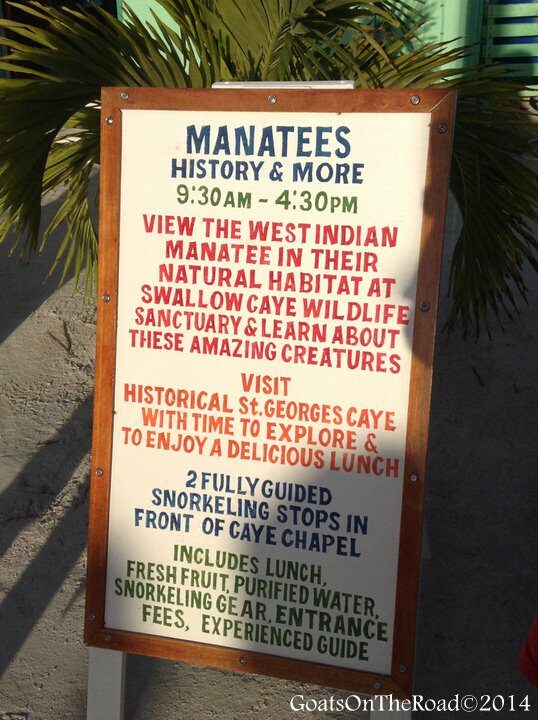 If the Manatees were inside of the Wildlife Sanctuary, we weren’t allowed to snorkel with them. If by chance they decided to swim outside of the sanctuary, then we were allowed to. On our tour, the Manatees didn’t come out of the protected area and our guides were respectful of the rules by not allowing us to get in the water with the sea cows. Although the fish lunch with rice, beans, salad and fruit was tasty, we were disappointed that it was brought from Caye Caulker in styrofoam containers, rather than being cooked up fresh on St. George’s Caye. Eco-tourism is very important to Nick and I. Before heading out on the tour, we expressed that we don’t agree with feeding and touching the marine life (many tour operators on Caye Caulker do this). We were assured that this doesn’t happen with E-Z Tours, but during the snorkelling, one of our guides picked up a starfish for all of us to hold. It only happened the one time and you would be hard pressed to find a tour operator in this area who didn’t touch and disturb the sea life. To book one of the many tours with E-Z Boy Tours in Caye Caulker, you can reserve online or contact them on Facebook. This piece is part of the Momondo experience’s series. 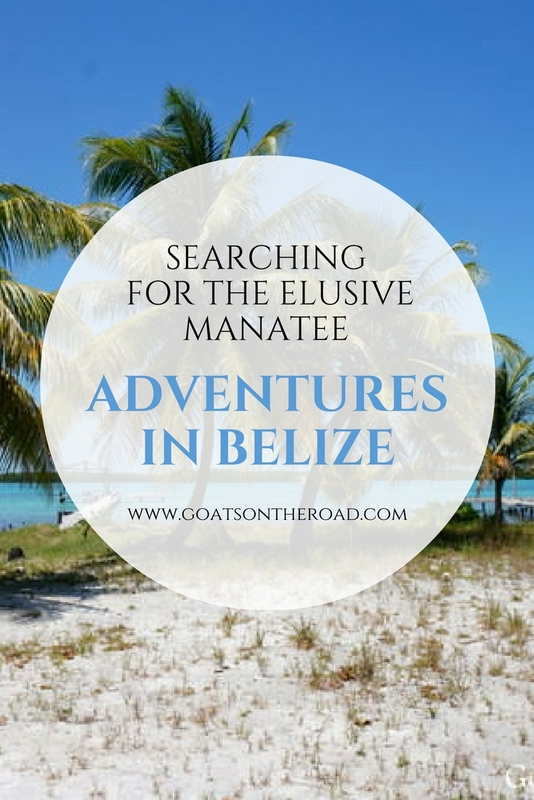 Momondo challenged us to spot monstrous Manatees in Belize, and we gladly accepted that challenge. 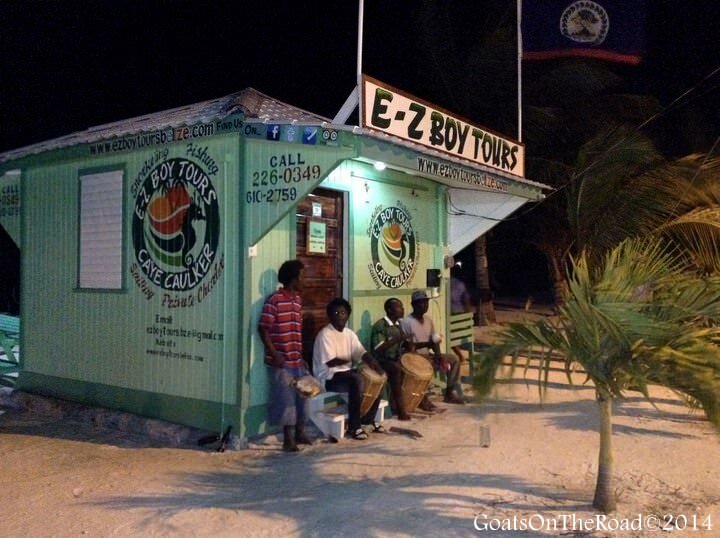 A big Thank-You to E-Z Boy Tours in Caye Caulker, Belize for making this such a memorable tour! 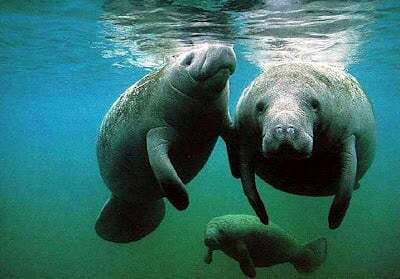 A few years ago, I was minding my own business swimming in the Gulf of Mexico when 2 manatees swam right past me. After I freaked out for a few seconds (I wasn’t expecting those giant creatures to be there!) it was a beautiful moment. They seem so peaceful! What an amazing experience! That would be totally freaky though to see them unexpectedly, they’re massive. Very gentle creatures though. Oh I am so envious you got to see manatees in the wild! We stayed at Manatee Springs in Florida, and still didn’t get to see any. Even though you stayed at a place with the name “Manatee” in the title, you still didn’t see any?! That’s too bad – you’ll have to come to Belize and try again. We also saw Dugongs when we were in Mozambique! Oh yes! We used to swim with them all the time back home in Florida. They are such beautiful creatures. It is my hope that someday my bonus daughters (my husband’s daughters) will see them and that humans will keep a better watch when they’re out on their boats. haha, I like “bonus daughters”! Boats are a huge problem for Manatees, it’s sad really. I hope people become more aware of these gentle creatures as well. What a wonderful experience! Love your values in not wanting to tour with companies that touch the marine life. 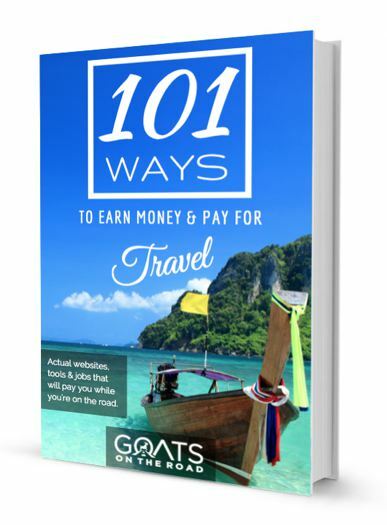 Not everyone agrees with our values, but when we were in Thailand and Nick was getting his scuba diving certification, we both learned a lot about the ocean and became educated on what you should and shouldn’t do. We don’t agree with disturbing the marine life whatsoever.